Israel’s former Chief Justice Aharon Barak stated in a recent lecturethat “what happened in Germany [the rise of the Nazis] can happen here [in Israel].” He went on to say that a regime that does not respect the separation of powers or human rights cannot be called democratic. This statement brought about a swift, furious response via Twitter from Education Minister Naftali Bennet, claiming that what the Judge said was a “total lie” and that it is wrong to compare what he calls “Israel’s fight for survival in its own land” with the Nazi persecution of Jews. 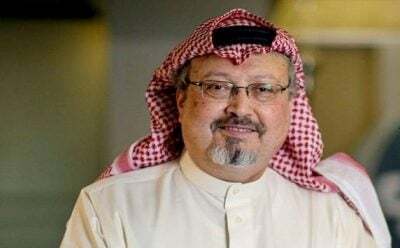 Can We Canonize Khashoggi? And, for the Love of God, Why? What? Since Jamal Khashoggi‘s mysterious October 2 disappearance from the Saudi Istanbul consulate, news media have been obsessed with the man. Bear hunting is reportedly important to our economy. It’s part of the state’s tourism pitch, promoted by the Department of Environmental Conservation. The 2018 hunting season is still underway; in 2017 though, 1,420 New York black bears were killed, with the heaviest harvest in counties around me: 151 in Delaware; 147 in Sullivan; and (closer to NYC) 167 in Ulster County. This, out of an estimated state population of 6,000-8,000. Nationwide, black bears number around 900,000, a population that is increasing annually.